A smile speaks volumes. Studies show that people who smile statistically have better moods and are physically healthier. Missing teeth are often the cause of self-conscious behavior. Today’s modern dental procedures are designed to restore confidence and bring back that beautiful smile. Here are some answers to frequently asked questions about implants. Understanding the procedure and what is required helps patients make informed decisions. 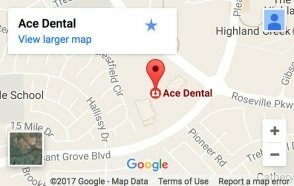 Ace Dental in Roseville, CA offers suggestions based on the individual. The modern dental implant has changed the way missing teeth are replaced. 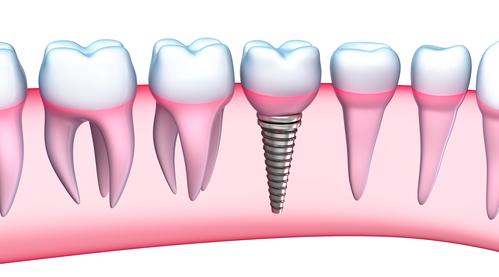 Implants are metal frames or posts that are surgically placed in the jawbone under the gum. A dental prosthetics is mounted later that is designed to replicate the original tooth. Titanium is used because of its strength and ability to integrate with human tissue and bone. There are two basic dentistry Roseville dental implants that are used on a regular basis. Endosteal Implants are surgically embedded into the jawbone. Further surgery is required to connect the implant to the post. The final process is to place the artificial tooth in the area. 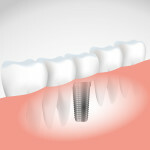 Subperiosteal Implants uses a metal frame that fits under the gum on the jawbone. The posts are then attached to the frame where the teeth are connected. Good candidates for implants are those that have strong bones and gums. The dental implants work better if placed in a healthy strong environment. A person who smokes may not qualify because it may have weakened the bones. It can also cause the implant to fail. The implant needs to have support system. Teeth on either side of an implant can be left in their current condition. They do not have to be altered to hold the implant. With bridges, teeth need to be ground down to allow for space. Under the right conditions, implants are more comfortable than a bridge. People who have implants must practice good dental hygiene. They need to brush and floss daily. Chewing on hard items such as ice and candy is discouraged because it can break the crown. Regular visits to the dentistry Roseville dentist are absolutely essential for long term dental health, especially for those with implants. Our goal is to provide high quality care to all of their patients. Ace Dental uses only state-of-the-art technology. Their dental services Roseville are designed for everyone. They offer a wide range of services for patients of all ages. The staff at Ace Dental goes above and beyond to make people feel relaxed and comfortable. Call to schedule an appointment or visit their website and fill out the easy to access form. It is time to see how a new confident smile feels. To get a dental exam prior to implantation, you can book an appointment using this webpage or call us at (916) 772-0111. You can also visit us at 1070 Pleasant Grove Suite 110 Roseville, CA 95678, during weekdays, from 9am to 6pm. Our dental professionals will help you get the best restorative prosthetics that will fit your preferences and budget. Contact us today to schedule your dental implants appointment!